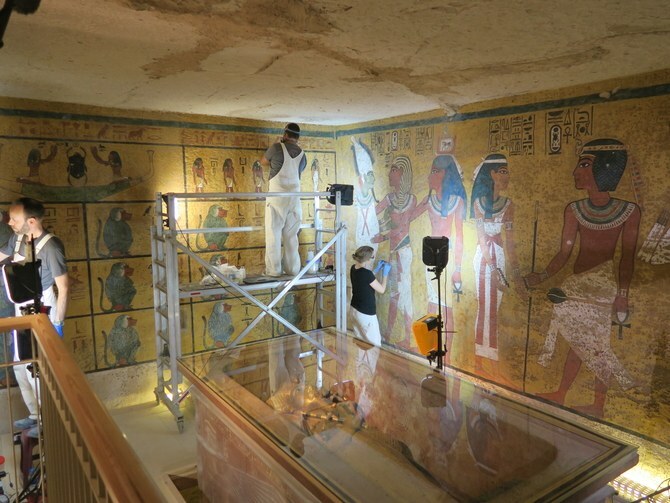 When British archaeologist and Egyptologist Howard Carter discovered King Tutankhamen’s tomb in 1922, the world erupted into frenzied excitement. For the first time in history, a burial chamber was discovered with all of its treasures intact, spared from looting by greedy thieves. Over the course of the next decade, the fascination mounted with every object carried out from the tomb, each treasure commanding its own headline. 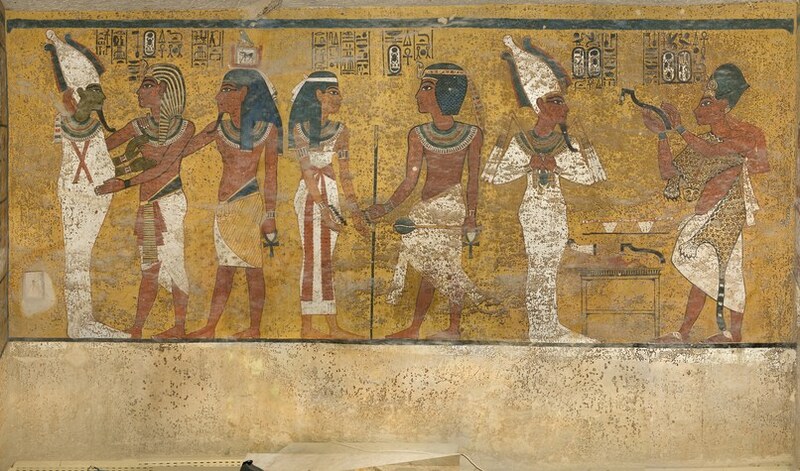 Today the tomb contains just a few objects, among them a quartzite sarcophagus, the gilded wooden outermost sarcophagus, and, of course, King Tut’s mummy himself. As one of the most important archaeological discoveries in human history, King Tut’s tomb quickly became a popular tourist destination. But with its narrow passages and cramped chambers, the Boy King’s burial place was structurally unfit to properly accommodate its newfound spotlight. 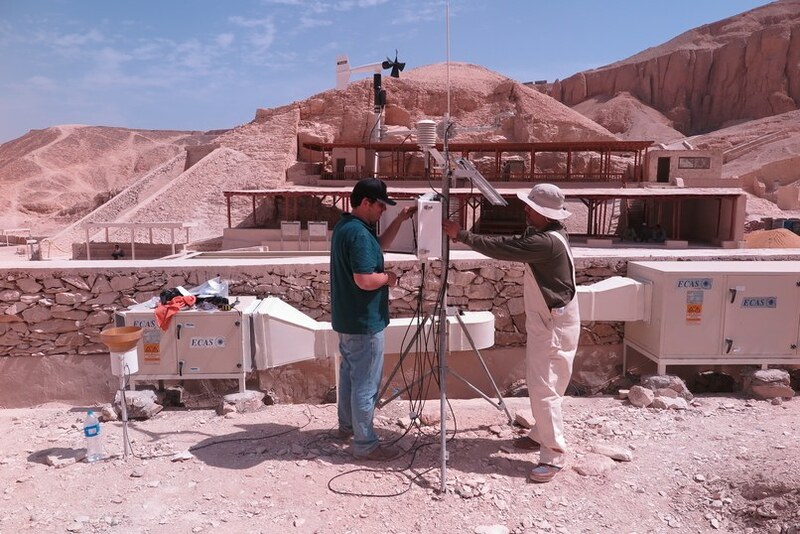 Between the throngs of visitors descending upon the Valley of the Kings, bringing with them harmful dust particles on their shoes and clothes, coupled with film crews and their bulbous array of equipment, the delicate wall paintings that depict King Tut’s life and death were in dire need of intervention. Before Carter and his crew inadvertently discovered the steps that would lead them to their career-defining discovery, the tomb had been sealed for over 3,000 years, and the influx of oxygen and carbon dioxide from a heavy flow of human traffic was an assault on the atmosphere. 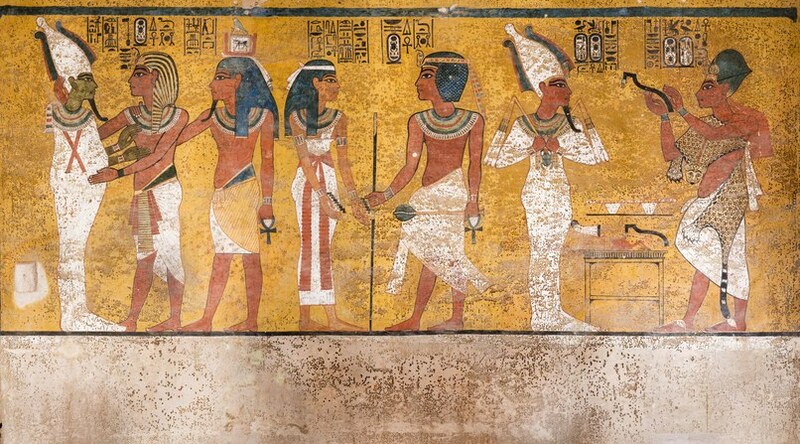 In the nearly 100 years since the tomb was first opened, mysterious brown microbial spots had grown on the room’s surfaces, and were threatening the magnificent paintings on the walls. The project, which first began in 2009, focused primarily on stabilizing the wall paintings. The microbiological growths had embed themselves into the paint, and were therefore unable to be properly removed without inflicting damage to the works. But DNA test and chemical analysis revealed that the growths were dead and no longer a threat. Lorinda Wong, a project specialist with the Getty who specializes in wall paintings, called the growths unusual, and stated that this is the only known tomb where these growths have occurred.